From your favourite books to the icons on your phone, design permeates all aspects of our lives and is an essential tool for communicating both simple and complex ideas. However, designing for the purpose of standing out and communicating a cut-through message is an ever-increasing challenge in today’s visually noisy society. 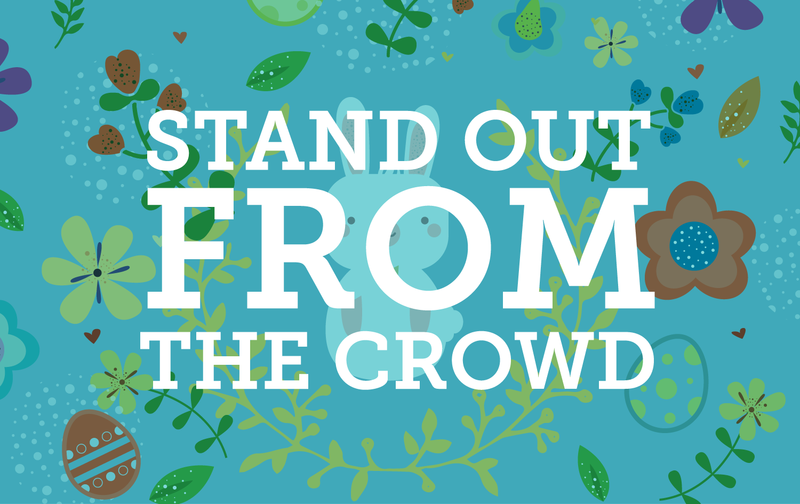 Understanding how to play to a brand and a designer’s strengths is a great starting point in reaching the goal of standing out from the crowd. For the uninitiated, a graphic designer’s job typically revolves around the layout and composition of text and images for different formats, resulting in a broad array of print and digital design outcomes. Despite the efficiency and low cost of utilising cheap design resources such as stock libraries or logo generators, the impact of high-quality design tailored to your brand cannot be overstated. Taking the time to collaborate with creatives with a specialist interest – be it photographers, artists or designers with a unique talent – can help bring an edge to an otherwise oversaturated field. A good example of this, and one that we are big fans of here at Strictlymarketing, is illustration. Illustration is at the heart of Strictlymarketing’s own branding and is something we have successfully utilised for a number of clients with great results. It is a powerful creative tool that delivers a true point of difference and really stands out from the crowd. By way of background, an illustrator is someone who draws or creates their own unique pictures and illustrations. They are somewhat similar to a designer, although designers typically (but not always) source graphics and imagery from professional photographers and illustrators to organise, rather than creating it themselves. While there are great benefits, choosing to incorporate a potentially arduous and complex technique such as illustration into client work has its challenges. One of the larger obstacles is time. With limited budgets and hard deadlines, if there’s going to be illustrative work going into the design, time is precious. Gauging a client’s interest in such work beforehand is paramount, or else you risk designing for an unimpressed audience. Not only that, but thanks to the dizzying array of stock photography and illustration libraries available online, there’s very little incentive to create your own feature images or design elements for day-to-day design work. Why risk hours making something when you can pump out a more efficient result in less time? There’s also the matter of taste. Not every job calls for heavy illustrative work, as it might be unsuitable for the brand. And some clients are perfectly content with stock photography, regardless. However for a unique and eye catching result, under the right circumstances illustration can augment a design immensely. Juxtapose a typical, stock-resource laden design (which is not offensive in of itself), with one with a tailored and beautifully crafted illustration, and typically the results speak for themselves. Although the focus is on illustration in this example, unique results in design aren’t limited to incorporating only illustration. Collaborating with any creative professional to achieve what’s best for your brand can do wonders to provide more unique results than what is typically expected. Contact Strictlymarketing to find out more about our wide-ranging design services, from logos, branding, posters, flyers, website design and various other forms of printed and digital media. We take the time to listen and to get to know our clients’ businesses and design needs in order to deliver that unique, personalised touch.